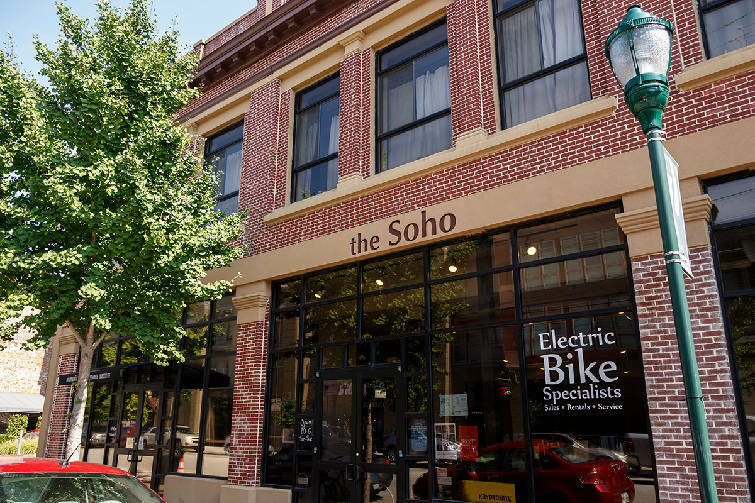 The Soho building at 45 East Main Street is seen on Thursday, Aug. 9, 2018, in Chattanooga, Tenn. Location: 45 E. Main St.
A mixed-use building on Chattanooga's hot Southside has an asking price of $3.8 million. 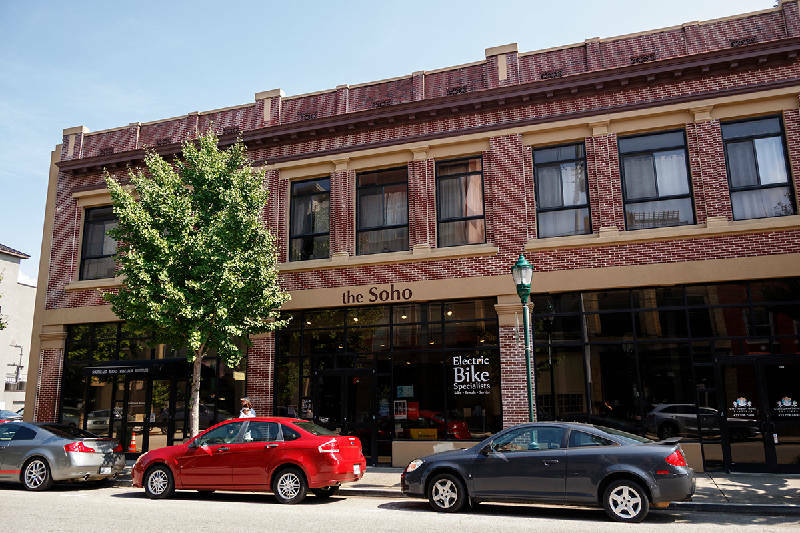 The SoHo building at 45 E. Main St. has four to five commercial retail spaces as well as a half dozen residential units on the second floor of the two-story structure, according to real estate broker Ryan May of Real Estate Partners Chattanooga LLC. The units are individually metered and could be converted into condominiums, the broker said. A commercial tenant in a combined unit has vacated but is paying rent outlined in a lease agreement, according to the broker. A new buyer could assume that arrangement or occupy space or release it. One of the residential units is vacant and ready to be leased. The 19,630-square-foot building is located between the Alleia and Bluegrass Grill restaurants. The structure has 126 feet of frontage on East Main Street, which is seeing a transformation with a variety of renovated buildings with new uses. The traffic count in front the building is 10,749 vehicles, according to the broker.